Fabulous quality Prada crepe suiting fabric. Self satin lined with a slight one way stretch across the width of the fabric. Because this fabric has a matt and shiny side, you can use either or a combination of both textures to create dramatic effects. This fabric is PU coated and both anti static and anti click, ensuring the highest quality for special garments. 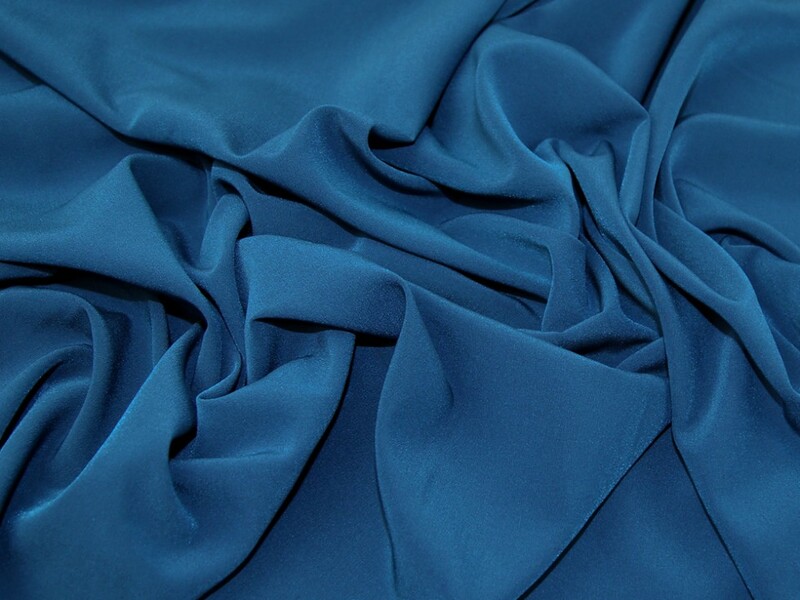 Beautifully soft with a lovely drape, perfect for jackets, dresses, skirts, trousers, waistcoats and more! I've bought this for an August wedding guest dress. Got a Vogue pattern, with tie at the back of a boat neckline. I am hoping to do dress in matt finish but scarf ties in the reverse silky side ! Expensive fabric but worth it ! Unless they sent me the wrong colour sample that is.. Though the fabric is nice with good drape. Cannot rate this fabric enough, it is simply divine. If your in doubt, try it!! The most beautiful fabric i have ever sewn. Made up really well (it made even my sewing skills look good haha!) will definitely buy some more in the future.